Looking For Some Fall Family Fun? The weather is getting colder. The leaves are changing colors. Halloween is just around the corner and pumpkin carving season has begun! If you are looking for some fall family fun this weekend or just want to find the perfect pumpkin for that carving project but don’t know where to go — look no farther. Here is a list of local pumpkin patches within 20 miles of Elk Grove and all the family fun activities they offer. 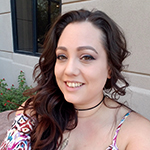 Author: Tara PurcellTara Purcell is a 20 year resident of Elk Grove and a mother of 3. As a Mom, wife, daughter, sister, employee, mental health survivor and special needs parent, Tara is passionate about her community, her kids, and promoting awareness and outreach of behavioral health in Elk Grove. In her spare time, Tara is a music lover, movie buff, and foodie.